Rokeby Park, a handsome Grade I listed building, is situated close to Greta Bridge in Teesdale and around 5 miles from dramatic Raby Castle, it was historically located in the North Riding of Yorkshire. Rokeby is a beautiful Palladian-style country house, Sir Walter Scott was a frequent visitor and the house was the setting for his ballad 'Rokeby'. Described by Giles Worsley in 1987 as "one of the purest examples of the neo-Palladian villa", locally, Rokeby is pronounced "rookbee", although many pronounce it "rowk-bee" and this is the more commonly heard pronunciation. 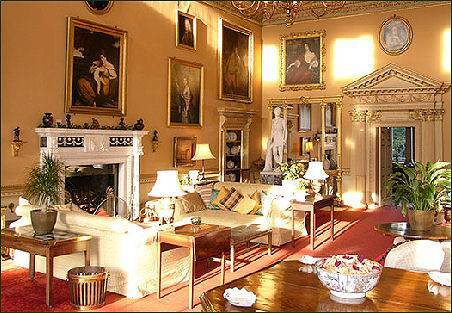 It is the private home of Sir Andrew Morritt but is open to the public on selected days. 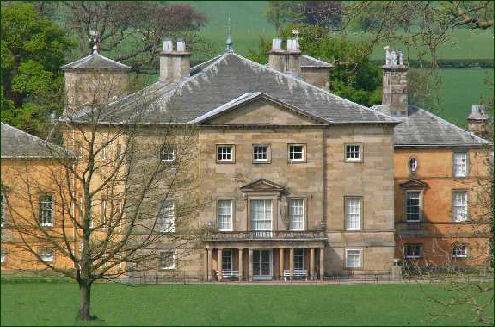 The house was completed in 1735 by its then owner, Sir Thomas Robinson, who was an avid collector and a leading amateur architect of his day, it was then known as Rokeby Hall. Robinson was captivated by the designs of the sixteenth century Venetian architect Andrea Palladio, whose ideas were becoming fashionable in England at the time, through their publication and promotion by Richard Boyle, 3rd Earl Burlington (1694 - 1753). Thomas, known as 'Long Tom' Robinson to distinguish him from an identically named contemporary, is also known as the architect of the west wing of Castle Howard. The history of the site, however, goes back many centuries earlier. Nearby Greta Bridge was a Roman Encampment. By the reign of Edward II the land belonged to the Rokeby family; their early medieval home was burned by the Scots in a raid following the English defeat at the Battle of Bannockburn. A house was later built on the same site which passed from the Rokebys to the Robinsons during the reign of the first Stuart king, James I.
Robinson owned Rokeby until 1769, when he sold it to J.S. Morritt, an ancestor of the current owner. Morritt made various improvements including the construction of a new stable block, by John Carr of York, the creation of a print room, the completion of the church and the construction of the Abbey Bridge. J.B.S. Morritt (1771 - 1843), the son of J.S.Morritt, owned the house for over 50 years. He was a close friend of Sir Walter Scott. Much of the present interior was designed by John Carr. Morrit's "print room", a room wallpapered with eighteenth century prints, still survives to the present day. The house contains a unique collection of eighteenth century needlework pictures by Anne Morritt (1726-1797), the spinster sister of J.S. Morritt. It is also well known as the original English home of the painting 'The Toilet of Venus' by the Spanish artist Diego Velázquez, now known as The Rokeby Venus. The original now hangs in the National Gallery, London and a copy hangs in the saloon at Rokeby Park. Rokeby has never had a formal or man-made garden, it stands in a natural context of a beautiful setting provided by the courses of the Greta and the Tees. The Tees runs from west to east half a mile to the north; the Greta from south to north a few hundred yards to the east. They converge at the Meeting of the Waters, a local beauty spot. The last mile of the Greta runs through the Park.